“When everyone is afraid of you, it’s hard to make any friends,” discovers Bully Bird, a member of the Bad Bird Bunch. His transformation from bully to benign bird comes as a result of Brendon Mouse, whose altruism saves the day. 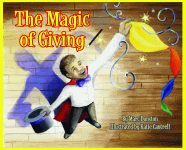 This book about the value of friendship and helping others—even those who may not be your friends—teaches children that sometimes offering assistance can help everyone in the end. Greg Watkins has given numerous presentations and has written articles in various publications to teach children about bullying, forgiveness, and friendship. 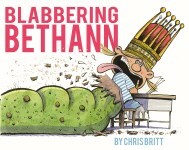 The father of four and the youngest of eight children, he draws on his personal experiences to write his Big Bill and Buddies Series. Watkins loves entertaining and teaching children as a part of the Authors in Schools program and is involved in fundraising projects such as the Mustard Seed Communities, a charity for abused and abandoned children. A former Marine, Watkins served during the Vietnam era and then earned his bachelor’s degree from Kendal College of Art and Design. He lives in Roswell, Georgia. 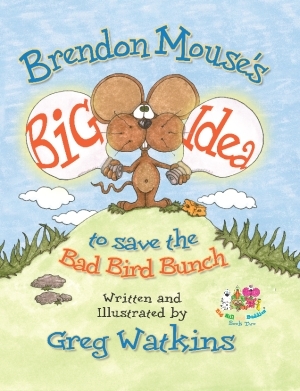 Click here for the Brendon Mouse's Big Idea to Save the Bad Bird Bunch study guide.